The latch is first swung into place. Second, the latch compresses a gasket against the frame. Compression latches are mechanical closure devices that are used in applications requiring sealed closing and protection from the elements. Compression latches are used in many different industries as the ability to seal the frame surrounding the latch makes compression latches useful closing options. 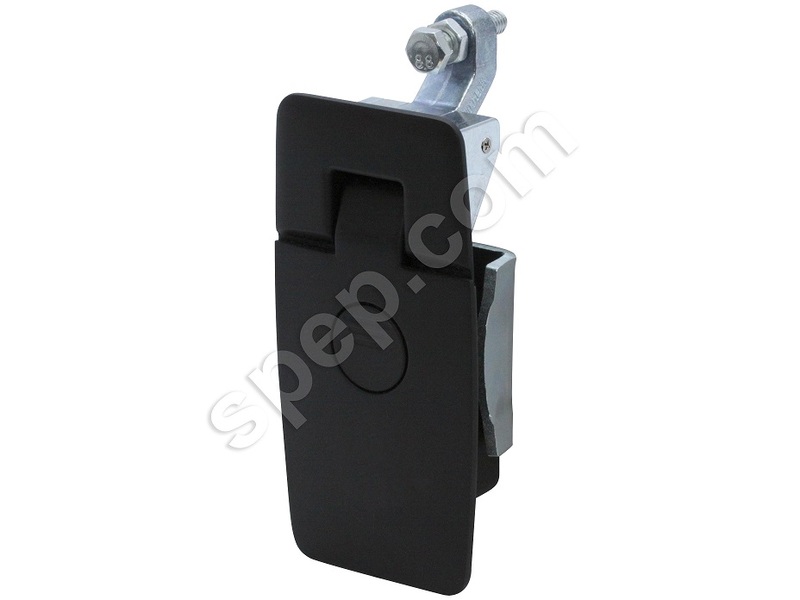 Areas such as computers and electronics, industrial equipment and machinery, electronic enclosures, vehicular systems and construction equipment all use compression latches in one form or another to seal and protect. In addition, the compression seal is able to reduce vibrations and shock, an important feature in applications such as industrial equipment and off-highway vehicles that are exposed to rough terrain or motion. Depending on the materials employed in the fabrication of compression latches, they can also provide a watertight seal and therefore compression latches are used widely in outdoor and marine equipment. Panel latches, T-latches, lift and turn latches, lever, vice action, trigger and round latches are some of the many variations of compression latches. Depending on the intended use of the latch, the amount of compression achieved is variable and can be pre-set or adjustable for more flexibility. An added benefit of adjustable compression latches is that they are able to take up the slack as the seal or gasket begins to wear down with age. The range of materials used in the fabrication of compression latches includes stainless steel, die cast zinc or steel. While stainless steel latches are naturally durable and corrosion resistant, common top coatings for other materials include chrome finish and black powder coat. Using a topcoat on compression latches may be both for appearance and protective purposes. Most metals are susceptible to damage over time when exposed to the elements and therefore, coatings ensure a longer product life and greater product reliability. 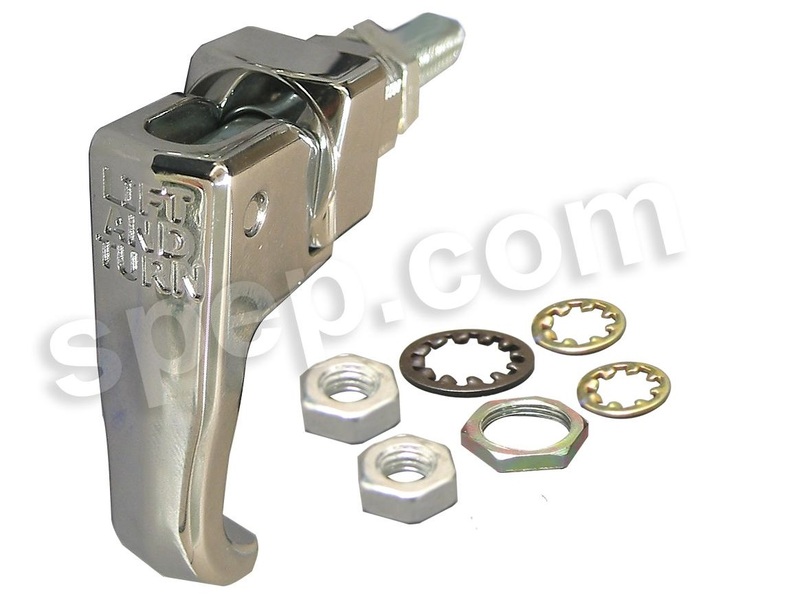 Compression latches all have a lever or a knob that is used to fasten the latch. In automated compression latches, the lever causes compression on the gasket, creating the sealed closure. Commonly used on doors and compartments such as cabinets or storage facilities, compression latches can have numerous activation options. The compression factor which is activated most often by a half turn motion can be achieved by hand, key or tool activated compression. Compression latches are available in a broad range of standard sizes and capabilities, and yet are also available to meet custom specifications and requirements. They can be supplied either assembled or unassembled depending on their intended location and application. Compression Latches Compression latches involve a two part process that not only fastens two adjacent surfaces together, but also seals the edge formed between them.